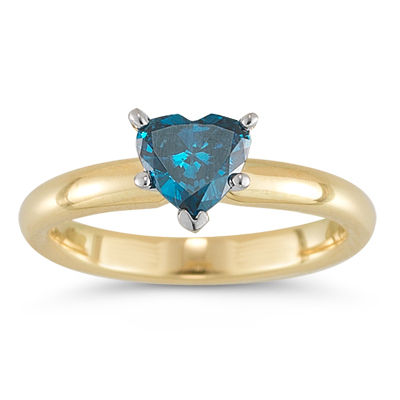 0.55 Cts Blue Diamond Heart Solitaire Ring in 14K Yellow Gold . This shining Blue Diamond Solitaire Ring exhibits an AA quality heart-shaped Blue Diamond prong set in 14K Yellow Gold. Approximate Diamond Weight: 0.55 Carats. A simple and classic ring ideal for every occasion.